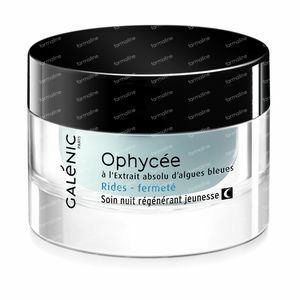 Galénic Ophycée Night Cream Anti-Wrinkle 50 ml order online. 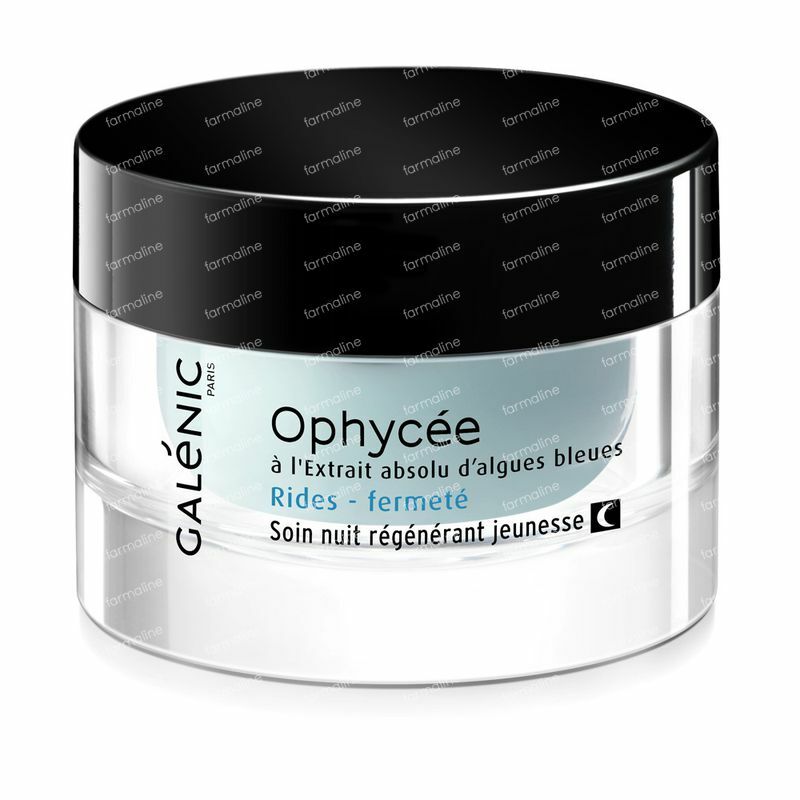 Velvety-smooth and light, Regenerating youthful night care releases active ingredients all night long to fill in wrinkles and intensely firm the skin. In the morning, your skin is regenerated, your face appears rested and your facial features look relaxed. Apply every evening to the face and neck. For best results, apply after using Supreme youth elixir. WATER (AQUA). ISOPROPYL PALMITATE. PPG-15 STEARYL ETHER. GLYCERIN. CETYL ESTERS. CETEARYL ALCOHOL. ALUMINIUM STARCH OCTENYLSUCCINATE. BUTYROSPERMUM PARKII (SHEA BUTTER) (BUTYROSPERMUM PARKII BUTTER). GLYCERYL STEARATE. PEG-100 STEARATE. BEHENYL ALCOHOL. PENTYLENE GLYCOL. 1,2-HEXANEDIOL. ACID BLUE 3 (CI 42051). BENZOTRIAZOLYL DODECYL P-CRESOL. BHT. CALCIUM LACTATE. CAPRYLYL GLYCOL. CETEARETH-33. DIMETHICONE. DIMETHICONOL. DISODIUM EDTA. FRAGRANCE (PARFUM). HYDROGENATED LECITHIN. HYDROXYETHYL ACRYLATE/SODIUM ACRYLOYLDIMETHYL TAURATE COPOLYMER. ISOHEXADECANE. MAGNESIUM LACTATE. MALTODEXTRIN. PHORMIDIUM UNCINATUM EXTRACT. POLYSORBATE 60. SCLEROTIUM GUM. SORBITAN ISOSTEARATE. TOCOPHERYL ACETATE. XANTHAN GUM.